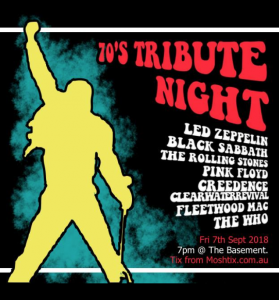 With 7 amazing acts performing sets of some of the greatest bands from the 70’s over 2 stages at The Basement!!! CREEDANCE CLEARWATER REVIVAL + FLEETWOOD MAC! !